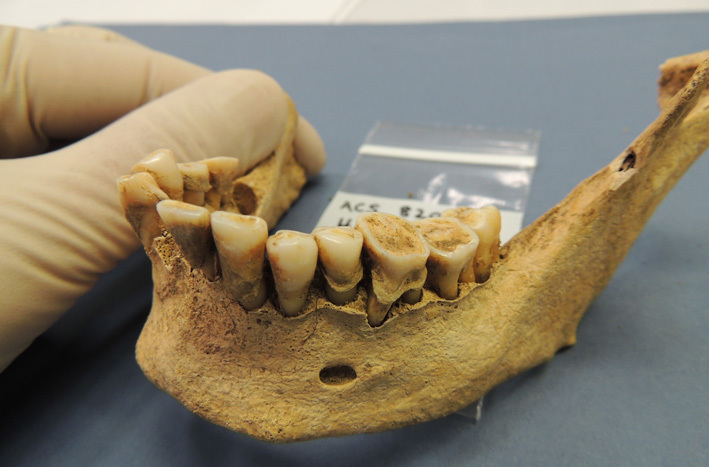 Researchers from the Environment Institute’s Australian Centre for Ancient DNA (ACAD) have led an International research team that have used DNA preserved in calcified bacteria on the teeth of ancient human skeletons to shed light on the health consequences of the evolving diet and behaviour from the Stone Age to the modern day. The international team, led by ACAD, where the research was performed, has published the results in Nature Genetics today. Other team members include the Department of Archaeology at the University of Aberdeen and the Wellcome Trust Sanger Institute in Cambridge (UK). “This is the first record of how our evolution over the last 7500 years has impacted the bacteria we carry with us, and the important health consequences,” says study leader Professor Alan Cooper, ACAD Director. This entry was posted in ACAD, News and tagged Alan Cooper, ancient teeth, DNA, Nature Genetics. Bookmark the permalink.